A Florida bill permitting insurers to bar residential policyholders from transferring the rights to claim money could set a nasty precedent for the state’s auto body industry. Right now, the law states that any policyholder can “assign” claim benefits to a third party unless it’s prohibited by a contract with an insurer, and such restrictions have been supported by the Florida Supreme Court. However, the Florida Supreme Court has also held that these rules are only enforceable before a loss happens, according to a bill analysis for the Florida Senate. After you’ve suffered damage covered by your policy, you can assign the claim to whoever is fixing it no matter what the contract says, according to the analysis. The doctor, contractor or repairer to whom you’ve transferred the claim can then seek to collect it using litigation or whatever other means are allowed. A policyholder could include a contractor as a joint recipient of an check less than $3,000 for the “reasonable value of services rendered and materials provided,” but that contractor wouldn’t have the power to collect the money. The policyholder could also still also assign the amount owed an adjuster — but “not for the remainder of the benefits due to the insured.” So the adjuster could get a fee, but not the full amount of the claim. Finally, a lawyer representing the policyholder can be assigned the money to disburse for repairs made while consulting with the customer. The companion Senate Bill 1064 seems similar but has some other language related to adjuster apprentices too. The bill is technically about water damage claims, but it seems to leave the door open to negatively impact collision repairers’ ability to be assigned claims. Assignments are happening more frequently in Florida with water damage cases, according to House and Senate analyses of the bills. Florida Insurance Council Executive Vice President Sam Miller told the South Florida Sun-Sentinel that the prices of some claims were driven up by what he seemed to imply were the water restoration industry’s version of ambulance chasers. “Someone shows up following a fire and knocks on your door, saying, ‘We’ll take care of it but you have to sign over all your benefits,'” he said, according to the newspaper. State Rep. David Santiago, R-Deltona, told the newspaper that assignments have led to liens on homes and failure to complete repairs. But bill opponent Lee Jacobson of the Florida Justice Association, a trial attorney group, told the newspaper that the transfers are desired because insurers don’t always pay for everything that’s needed by the policyholder. Underwriters aren’t happy when contractors “expect to be paid for the work they performed,” he told the Sun-Sentinel. Those complaints have been expressed by collision repairers too, and some auto body shops would agree that what an insurer calls outrageous costs might just be what is needed to do a job without cutting corners. Right now, Jacobson said that insurers are targeting just building contractors and leaving health insurance and auto insurance assignments alone, according to the Sun-Sentinel. The Senate and House analyses both observed that the assignments are common with health insurance; they didn’t mention auto insurance. The ability to be assigned a claim can give an auto body shop owner “teeth” in dealing with insurers by stepping directly into the claim process — and it seems appropriate. After all, you are repairing something owned by a person who has a contract with an insurer to get it fixed. Asserting auto body shops’ rights under that awkward, multi-party relationship has been part of a major price-fixing case in Florida, A&E v. 21st Century. Assignment of a claim could make collision repairers’ lives easier in future disputes over costs. So a bill limiting that ability for another third party could lead to insurers making the same case for claim transfers to collision repairers. Even if this law fails, it’s worth noting by the auto body industry that existing assignment law seems to leave open a challenge to assignment rights for shops who don’t participate in direct repair programs. The Fourth Florida District Court of Appeals held in Kohl v. Blue Cross Blue Shield of Florida that a policy limiting the right of a health insurance policyholder to transfer a claim to an out-of-network doctor was allowed and also supported by other states’ policies. “The benefit to this system is that the insurer is able to impose cost restraints on the participating health care providers who, in return, receive quick and direct payment from the insurer,” the court said in its decision. That’s about the same case insurers make about DRPs (though repair bills definitely haven’t shown the kind of price increases lamented about health care costs). 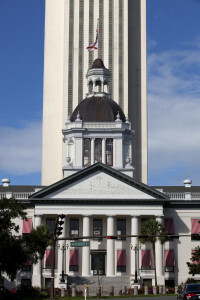 Be heard: Florida legislator contact information can be found here.